Leh, Aug 24 (IANS) In the high hostile peaks of the Himalayas where sustaining life is a challenge in itself, Indian scientists say they have found a “wonder herb” which can regulate the immune system, help adapt to the mountain environment and, above all, protect from radioactivity. Rhodiola, a herb found in the cold and highland climate, has led India’s leading scientists to wonder if it is the end to the quest for “Sanjeevani”, the mythical herb that gave renewed life to Ram’s brother Lakshman in the epic Ramayana. 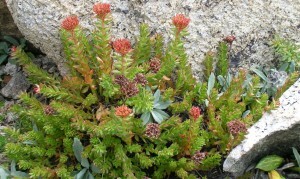 Locally called ‘Solo’ in Ladakh, the qualities of Rhodiola were largely unknown so far. The leafy parts of the plant were used as vegetable by locals. However, research by the Leh-based Defence Institute of High Altitude Research (DIHAR) is exploring the therapeutic values of the herb that shows it can do wonders for the troops posted in difficult high altitude areas like the 5,400-metres-high Siachen glacier. 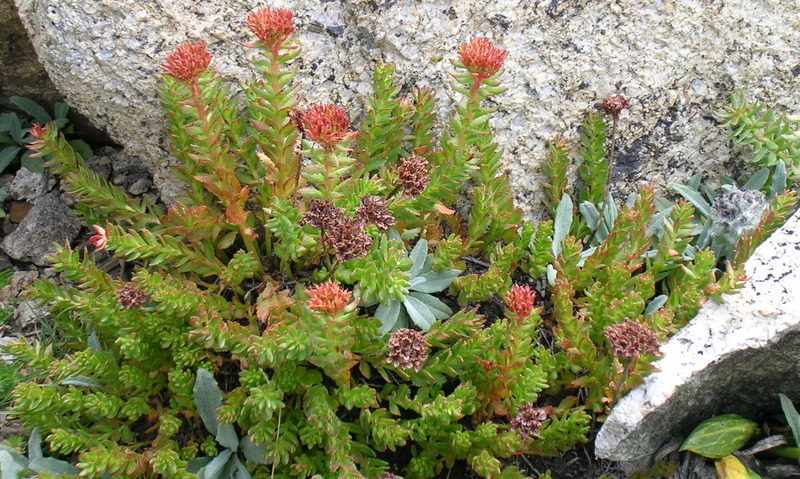 “Rhodiola is a wonder plant that has immunomodulatory (enhancing immune), adaptogenic (adapting to difficult climatic condition) and radio-protecting abilities due to presence of secondary metabolites and phytoactive compounds unique to the plant,” R.B. Srivastava, Director, DIHAR, told IANS. “A concerted effort involving conservation, propagation and sustainable utilisation of this unique medicinal herb will surely result in rediscovery of Sanjeevani for the troops deployed in extreme climatic condition along Himalayan frontiers,” said the director. The Leh-based lab of the Defence Research and Development Organisation (DRDO), the world’s highest agro-animal research laboratory, has been researching on this wonder plant for more than a decade. “While its adaptogenic qualities can help the soldiers in adjusting to the low pressure-low oxygen environment, the plant has also been found to have anti-depressant and appetizer properties,” said Srivastava. “Our research reveals its potential for anti-aging, tissue regeneration, protecting neurons during lack of oxygen, and cognitive improvement,” said Sunil Hota, who is working on investigating medicinal properties of the plant at DIHAR. “We are trying in-vitro propagation of the plant to increase its population,” added Chaurasia.